Welcome to the Gameweek (GW28) Match Centre for Fantasy Premier League. One game is still outstanding - Aston Villa vs. Man City. This post will be updated once it's complete. Fresh from Rafa's Rant midweek it was always going to be interesting to see how the Chelsea players performed today and they did okay, winning this game comfortably despite the slender margin. West Brom were content to sit deep and hope for a late sucker punch but were bereft of Lukaku's heavyweight presence up-front has to rely on a late flurry from Odemiwingie, in from the cold. Demba Ba showed that when played he will have shots and score goals. He's just Torres' metatarsal bone away from being the best FPL player ever. Oscar had a stunning game, outshining the more glamorous Mata and Hazard and could have scored two early on. He has 8 goals for Chelsea this season in 43 apps, but only 1 from 25 in the league. Fantasy potential bubbling under the surface. The Big Man does it again, with a top points haul from a goal and assist. 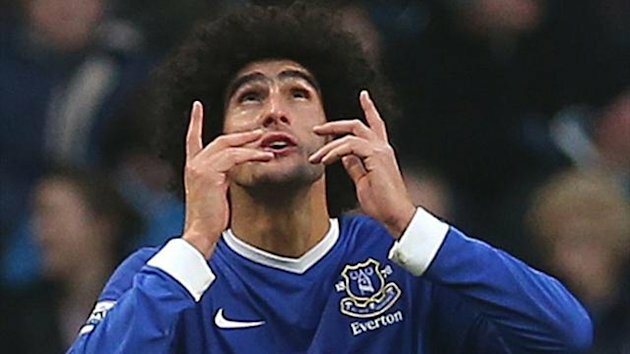 Fellaini owners know what they're getting. Kevin Mirallas was the other Evertonian to put in a performance worthy of a least a goal, and is back to something of the form that saw me highly recommending him before his injury. Jelavic continues to struggle and I wouldn't be surprised to see Anichebe back in the team as Everton for their next game. Pogrebynak's red card affords Le Fondre a rare chance to shine for 90 minutes but despite hitting the bar Reading's best chances came through attacks from midfield. Baines was kept very quiet and if Everton can't get a clean sheet against Reading then attacking points look his only hope. I was failry sure Van Persie would not start this one and get 20 minutes off the bench. Or at least I hoped! But within minutes of the game starting he had an assist. 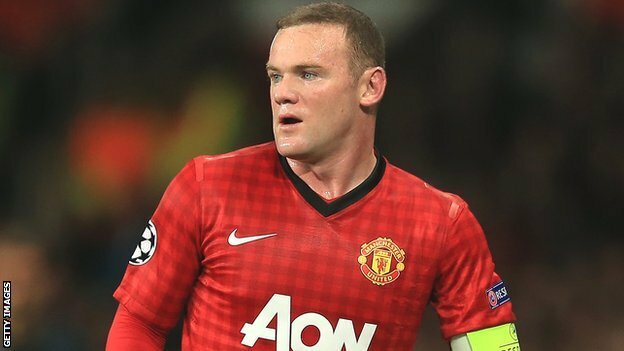 Rooney looked very threatening and scored well. Kagawa. too. will have opened up a few people's eyes but I feel this was more of a warm-up for him ahead of Real Madrid to give him some gametime. Norwich? Worst performance of any team this season. Shocker this really, although you had have to thought that QPR were going to get a win at some point this under Redknapp this season, although Southmapton's victory over City still fresh in people's minds had been enough for Lambert to be considered for captaincy here. He didn't threaten much though, and it was Rodriguez who had the most of the attack, on for the injured Lallana. The home side were still the side looking most likely to score though when Remy popped up with a goal to change the dynamic of the game. Whilst the Frenchman may grab the headline it may be Ji-Sung Park's return to the team that adds the real drive that this team needs to make a fight of it. Stoke's season has been unravelling steadily since shortly before Christmas to the point were they can now no longer defend to add to their inability to score goals. Recipe for disaster if they hadn't started so well. It'll have to worry fans for next season though, where exactly can they go from here? West Ham are the slightly better version of Stoke with slightly better personnel in positions key to their playing style. Andy Carroll is good at what he does, although not good enough to warrant a picture. 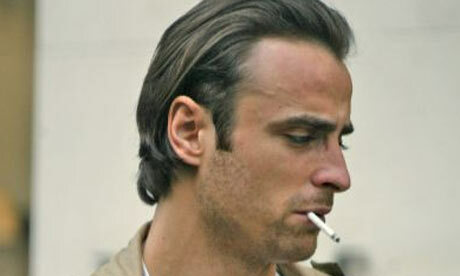 Berbatov is back! Or maybe not. But he's quietly and calmly scored 2 goals in his last 2 games and remains Fulham's go to player for goals. Whilst Fulham have pulled themselves back up from the poor form which blighted them though the colder months the start of some springtime weather has not seen them climb right back to their early season heights. Here they performed to the league average against their opponents, as too did Sunderland against theirs. O'Neils signing of Danny Graham now sees Sunderland line up in a 4-4-2 with Sessengon and Johnson nominally out wide. Both will drift inside though and Graham's presence should afford them more space and time on the ball, Sessegnon rescuing Sunderland a point here. Not so obvious who the pick out here as a player with the most fantasy potential. Steven Taylor had the highest F.SCORE of both sides with 2 shots on target and increased scoring from defenders. However, both his were headers and these don’t have quite the conversion rate as some other types of shots (more on this one day!). Similar story for Swansea really, no one player stood out from the stats. Therefore I’m giving the accolade of a picture to this site’s new budget fave Sissoko, who although just 1 shot on target had the most attempts of anyone one on target, showing he is a threat in this side. Gareth Bale continues his incredible scoring run this season as Tottenham really restricted Arsenal's opportunities here. There's really no-one on the Spurs team who can get close to Bale although Sigurdsson and Lennon may flirt with your fantasy affections. For Arsenal, it's Walcott again really who is the main man. Giroud is an extreme outside bet and until he finds his scoring groove he's going to remain so. Yet another player 'does it again' and this time in the most emphatic style of the weekend. 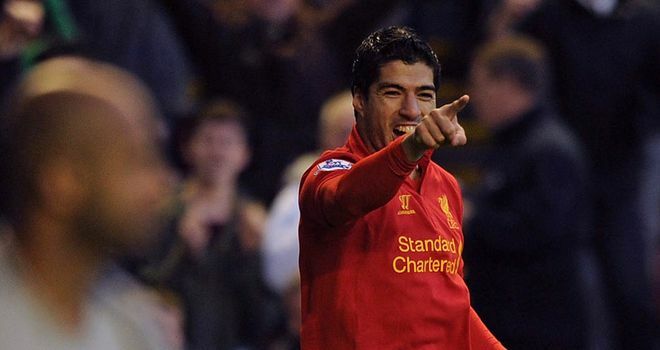 Sturridge's concerning minor injuries are good news for owners of Luis Suarez and what performance this was. The much-maligned Stewart Downing was also on the score sheet and was Liverpool's 2nd most threatening player. Coutinho's two assists also warrant attenti0on with some real good attacking passing. Wigan had their chances to score, their two standout players remain Kone and Maloney. IF you liked this post then please 'Like This' on Facebook (if you can see the button that is).